Setup your own classifieds website in minutes! Unlimited installations, as many websites as you like! Create packages and allow users to pay & submit listings. 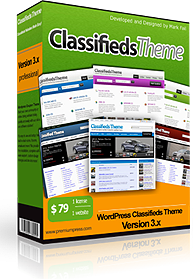 Free classifieds theme upgrades and support for life! Take a look at the theme features, video tutorials or try the free online demo for yourself. 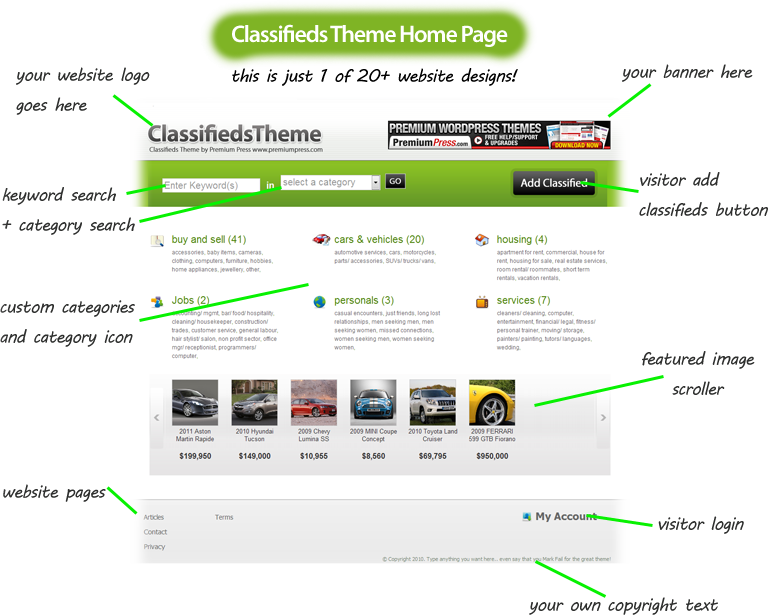 How does Classifieds Theme Work? Classifieds Website out of the box! Our Wordpress classifieds theme comes ready "out of the box" which means all you have to do is select/customize your template, add categories and your ready to start accepting classified submissions. It takes minutes from download to install and its easy to setup and manage. ClassifiedsTheme comes with quick setup options, personalized user account areas and an admin area unlike any other you will have seen! Built in image uploads, default images and image resize & cropping tool! ClassifiedsTheme includes image upload tools for both user and admin including an advanced cropping and editing tool for the website admin. Unlimited Listings, Categories and Pages + Widget & Plugin Ready! There is no limit to the amount of listings, categories and pages you can create. 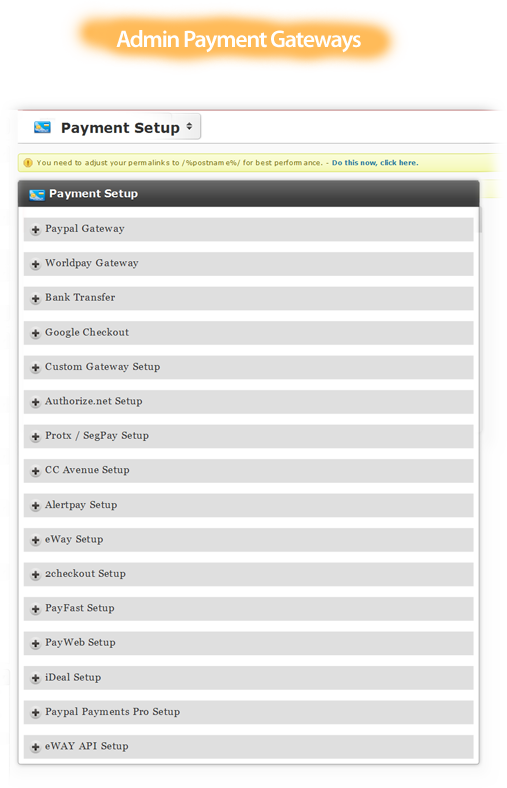 It also supports 1'000s of extra Wordpress plugins! Allow visitors to pay you $$$ & submit their classified ads on your website. Enable Google Maps and image slide shows as a package feature or as a standard option and enhance your classifieds website listing. Make it easy for your visitors to pay you money with over 20 built in payment gateways including PayPal, 2Checkout, eWay, Worldpay and more! Rather that us telling you how good our theme is, lets show you too! Click here to view all of the screenshots. 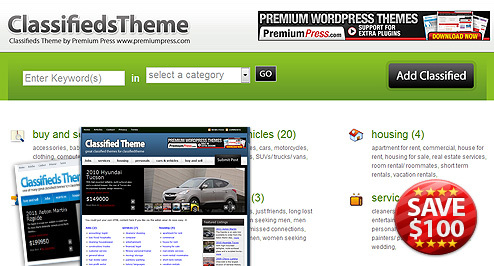 For a limited time only you can now get your copy of our classifieds theme for only $79! Original price is $199. ShopperPress is a fully featured shopping cart theme for Wordpress, suitable for selling all types of products, services, and digital downloads online.